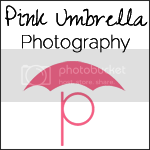 Pink Umbrella Photography: Six Fall Crafts Using Wood, Paint and Some Elbow Grease!! 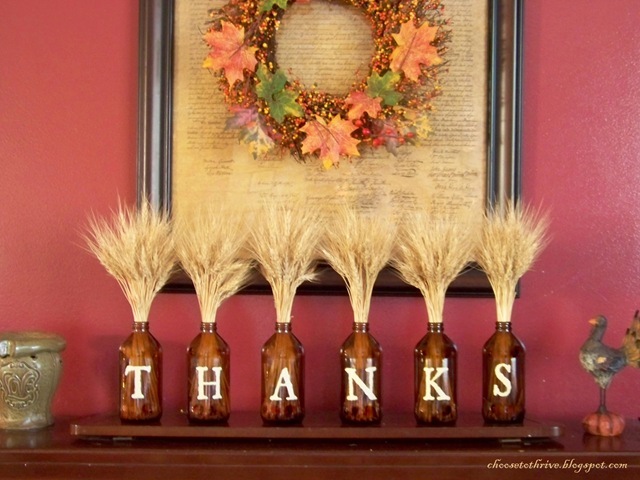 Six Fall Crafts Using Wood, Paint and Some Elbow Grease!! Fall is here in Texas and its time to start your fall decorations. I really enjoy this time of year (not as much as the summer) and I love pumpkins. So, I have hit Pinterest in search for some of my favorite decoration ideas. 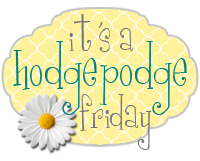 Check them out and happy decorating!! 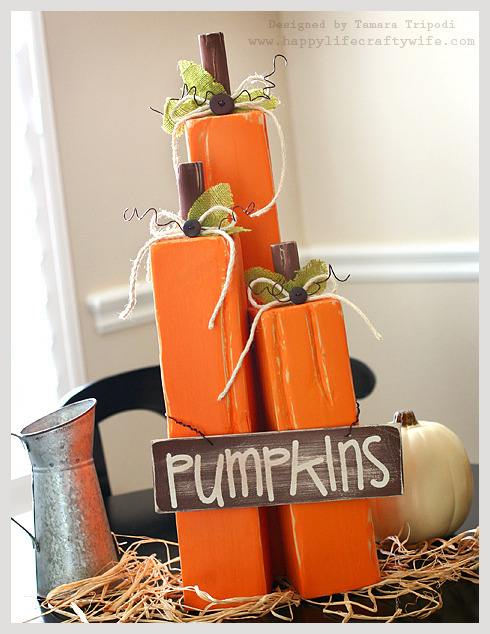 I LOVE these wooden pumpkins. They are so cute and you can make them with all kinds of extra wood you might have in your shed. If you are anything like my husband I know you have some extar wood in your storage building right? Head over to Crafty Chic Mommy and see her step by step instructions. She has some awesome pictures that give you an idea just how to make these. This next idea come from Better Homes and Gardens and is so simple. All You need is seven pumpkins. Different color pumpkins is best with a little bit difference in size. 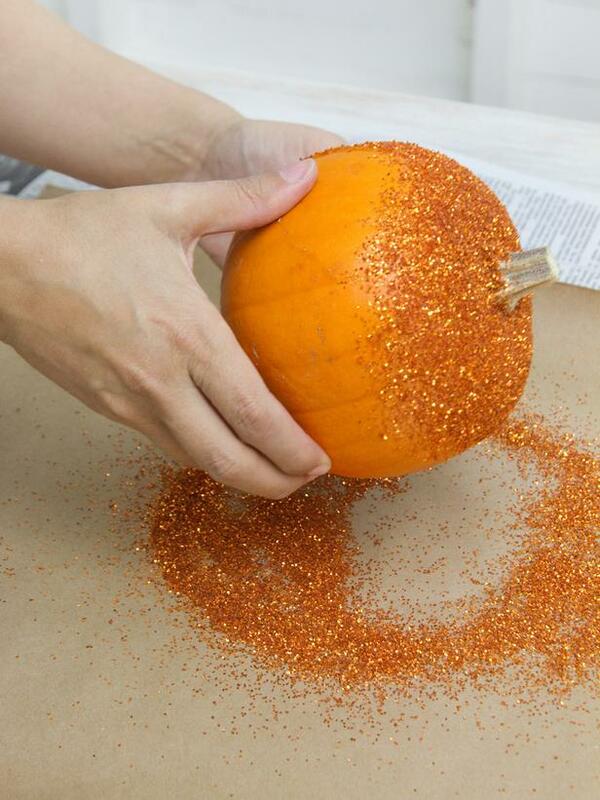 You also have to cut small holes in the bottoms of the pumpkins to remove the stems and this is also how you stack them. 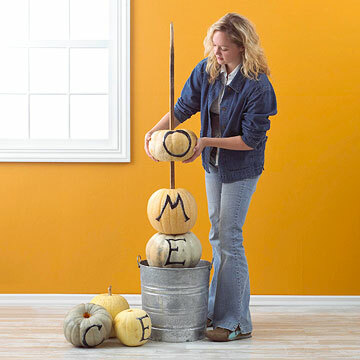 You can use vinal or you can simple paint the letters on each pumpkin and there you go. A very cute, but easy porch decoration. Check out the full tutorial over at HGTV. Head over to her site here and check out here turorial on how to make these. I will let you know how mine turn out. This next idea can be good for Halloween and into Thanksgiving. You could put all kind of different things in them to give them a really cute look. Check these out. Over at Choose To Thrive she talks about what types of jars to get and how to take the label off the front totally. The letters on the front are vinyl. Perfect for a shelf or a fire place decoration. Happy crafting and I hope you have a wonderful fall season! !